The Inlet Sports Lodge is a retreat for outdoor enthusiasts who live for the thrill of rugged adventures but still like to enjoy a little luxury on the side. Live life “on the lamb” as a vacation with all the excitement of a golfing trip mixed with the elegance of a tropical resort styled retreat sits right in-between Myrtle Beach and Charleston. Located in the heart of Murrells Inlet, The Inlet Sports Lodge is a boutique hotel catering to golf lovers, fishing, boating and outdoor enthusiasts, or anyone simply looking to relax. Just 1 mile north at the Murrells Inlet Marshwalk and Marina, enjoy a variety of award winning fresh Lowcountry dining and a variety of watersports. Minutes away from the International Golf Club, your training facility, plus dozens of boutique shops, beaches and historical area attractions. – Guaranteed “Improvement” or your next schools on us. – Guaranteed Improvement or Your Next Schools on Us. Here, you can mix a golf school with fine dining; all while soaking in the quiet serenity of Murrells Inlet from an upscale suite. It’s like being in two locations at once! A gem of its own design, you won’t find a sports lodge like this one in the surrounding area, or along the coast for that matter! Space and location make every scene one of a kind and the Inlet Sports Lodge is one that you will truly want to embrace! Murrells Inlet is centrally located south of Myrtle Beach approximately 13 miles. Situated between Garden City and the Litchfield and Pawley’s Island area, guests can expect to find an array of award-winning Myrtle Beach golf courses, shopping, seafood restaurants, watersports, historical and recreational spots. Away from the hustle and bustle of the beachfront but within minutes of a drive to the ocean, some of the best attractions on the South-End of the greater Myrtle Beach area are just around the corner from our property. CAROLINA GOLF SCHOOLS OVER 25 YEARS OF HELPING PEOPLE PLAY BETTER GOLF! OFFICIAL V1 GOLF ACADEMY WITH AWARD WINNING PGA PROFESSIONAL. Built in the heart of the golf capital of the world, United States Golf Schools represents a new standard in golfing vacations and family golf getaways. 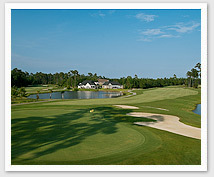 When the International Club opened its course in 2000 in Myrtle Beach, South Carolina, it truly delighted those who love the game of golf and it quickly earned a reputation as one of the area’s most enjoyable, challenging, and dynamic 18 hole courses. Important: Be carefully with most other National Golf Schools they only do “Video By Request”. What that means is they don’t do video on a regular basic. Call for a detailed comparison – 800 756 5052. All United States Golf Schools offers you the ability to improve your game in all facets. All our instructors have extended training, not only on the full swing, but also in our “Performance Zone” program.